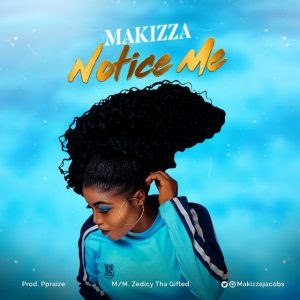 Welcome to the global world of "Makizza Unusual", an afro-pop Artiste, as she explodes your urge on her most recent anticipated mid-tempo afro pop vibe titled "Notice Me". It's no longer news that "Makizza" is the new queen of Afro pop, after the release of "Africanbobo" that got her trending on most platforms. She premiers the new single "Notice Me" which was produced by Ppraize and mix/mastered by Zedicy Tha Gifted.